China may soon grant market access to India’s non-basmati rice exports, acceding to a long-pending request from New Delhi. The Centre had repeatedly taken up the issue of the country’s ballooning goods trade deficit with China bilaterally. India had demanded market access for products including non-basmati rice, pharmaceuticals and several fruits & vegetables among others. India’s goods trade deficit with China has surged from $1.1 billion in 2003-04 to $52.7 billion in 2015-16. Beijing has been “denying” market access to India’s non-basmati rice claiming that the item had failed to meet Chinese norms on quality, health and safety. Its concerns included the likelihood of a pest called ‘Khapra beetle (or cabinet beetle)’ getting transported along with Indian non-basmati rice consignments to China. China was the world’s largest rice importer in 2015-16 followed by Saudi Arabia and Iraq. Official sources said after several requests from the Indian side, Chinese officials have finally agreed to visit India during September 19-28 to inspect 19 rice mills registered with the National Plant Protection Organization (NPPO). These mills are situated in states including Punjab, Haryana, Uttar Pradesh and Madhya Pradesh. To export to countries including China, it is mandatory for Indian rice exporters to be registered with the NPPO — the Indian government body in charge for inspecting these mills and granting certificates on plant health for export purposes. The NPPO will assist its Chinese counterpart AQSIQ during the inspection from September 19-28 for pest risk analysis and plant quarantine purposes to ensure that the non-basmati consignments from India will be pest-free, safe and of good quality. Agricultural & Processed Food Products Export Development Authority (APEDA) under the Indian commerce ministry is also involved in the process. India had earlier sent the information sought by AQSIQ regarding the quality protocol and standard operating procedures, the sources said. “The inspection is a very significant stage in the process,” A. K. Gupta, Director (Basmati Export Development Foundation, foreign trade, World Trade Organisation-related matters & agri-export zones), APEDA, said. He expressed hope that following the inspection, China will soon issue a formal notification regarding permission for non-basmati rice exports from India. The Chinese authorities had carried out a similar inspection in 2009, following which in 2011-12, they gave their nod to basmati exports from India to China, Mr. Gupta added. Pointing out that the 19 mills are involved in processing non-basmati and basmati rice, he said, therefore, the inspection will cover both varieties. 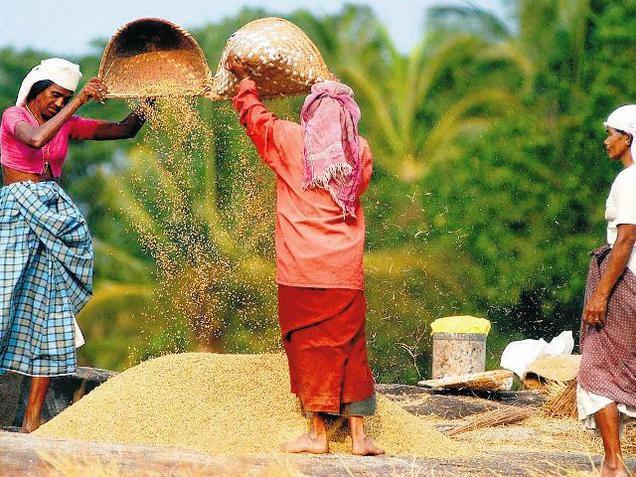 Rajen Sundaresan, Executive Director, All India Rice Exporters Association (AIREA), said he was also hopeful that the Chinese authorities will shortly give green signal for non-basmati rice exports from India to China. He said a recent joint survey done by AIREA and the leading agro-chemical (including pesticides) firm UPL found that the allegations regarding the presence of Khapra beetle in processed Indian rice were wrong and vastly exaggerated. Pointing out that China imports non-basmati rice from Pakistan, Mr. Sundaresan said Beijing’s objection to Indian non-basmati export seems more political in nature than anything else. Trade sources said there are reports of rice (basmati & non-basmati) exports from India to China happening through Hong Kong and Thailand. In 2015-16, India exported 6.2 million tonnes of non-basmati rice worth Rs.15,000 crore, he said.